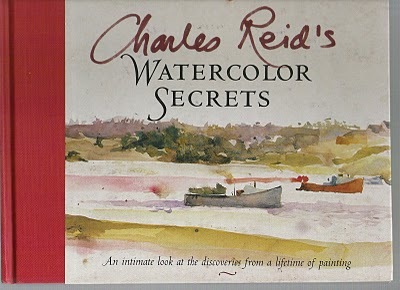 Beloved artist Charles Reid gives readers a rare look into his artistic life with this fascinating book. The paintings on each page have been selected from the actual sketchbooks he has kept for the past 25 years. These breathtaking illustrations are accompanied by concise commentary and advice from the artist that explains the process behind his work. Charles makes painting easy by keeping it simple; his techniques will show readers how to capture the magic of watercolor. It’s an education in basic art principles and an exciting glimpse into the mind of a master painter. Artists and art lovers alike will cherish this book. Charles Reid is well-loved throughout the world for his paintings, books and workshops. He’s the author of Painting Flowers in Watercolor with Charles Reid, among other books, and lives in Green’s Farms, Connecticut.